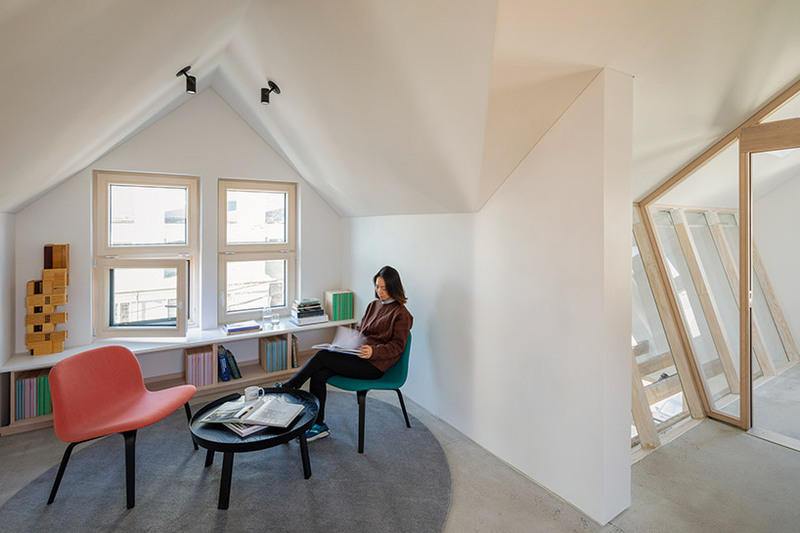 the harvard centre for green buildings and cities (CGBC) at the harvard graduate school of design (GSD) together with snøhetta, have completed HouseZero — an advanced data-driven infrastructure that will enable cutting edge research while shifting the design and operation of buildings. 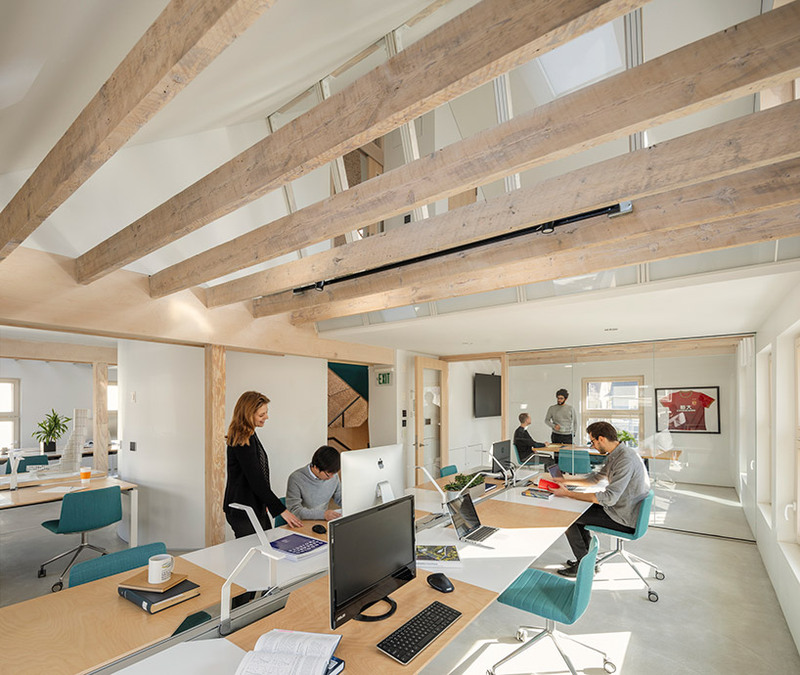 the project consisted in retrofitting a pre-1940’s building in cambridge into an ambitious living-laboratory and an energy-positive prototype for ultra-efficiency. 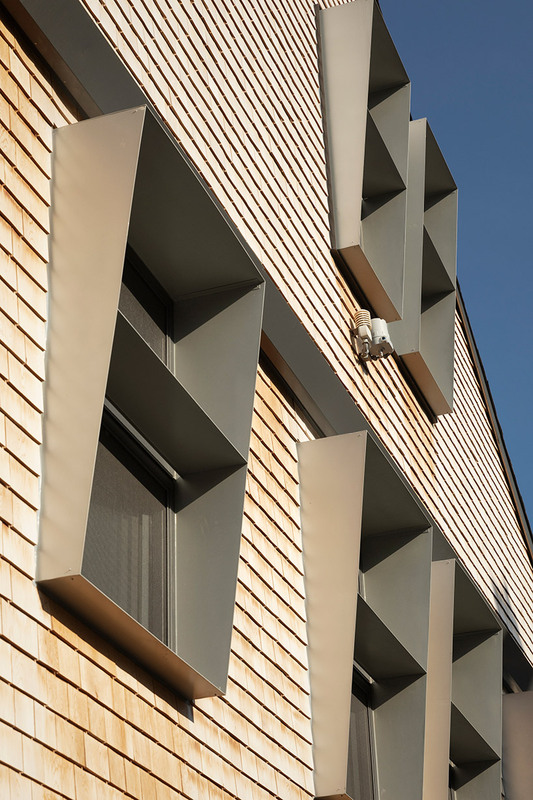 developed in collaboration with snøhetta — who was in charge of the architecture — and with skanska teknikk norway — who took care of the energy engineering — the harvard centre for green buildings and cities (CGBC)’s headquarters is driven by ambitious performance targets. 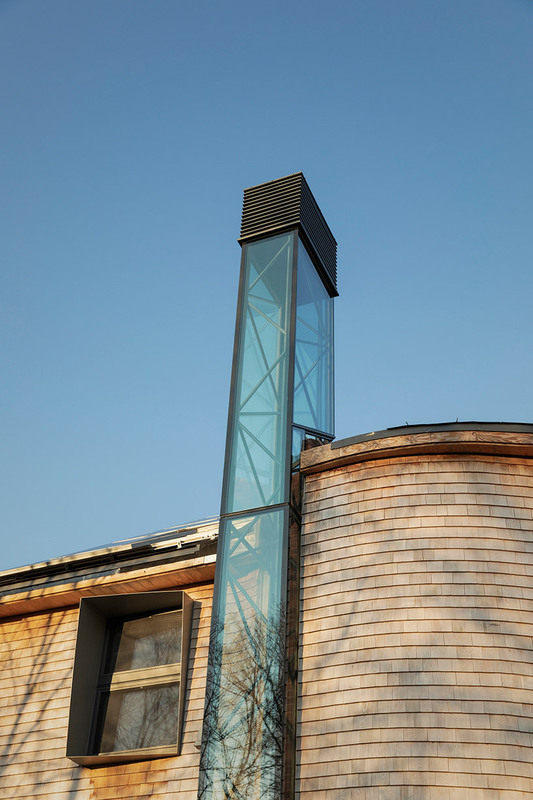 the structure uses nearly zero energy for heating and cooling, zero electric lighting during the day, it operates 100 percent on natural ventilation, and produces zero carbon emissions. 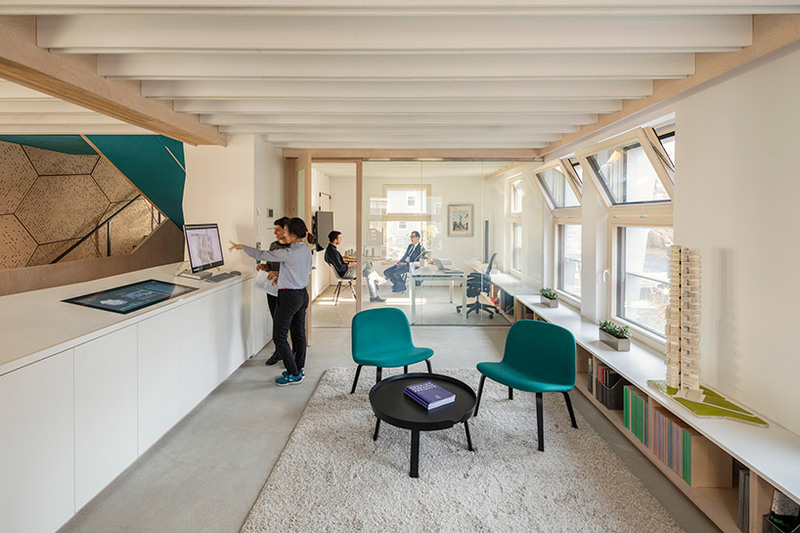 HouseZero serves both as a workspace and as a research tool and it has been equipped with millions of data points from hundreds of sensors embedded within each component. 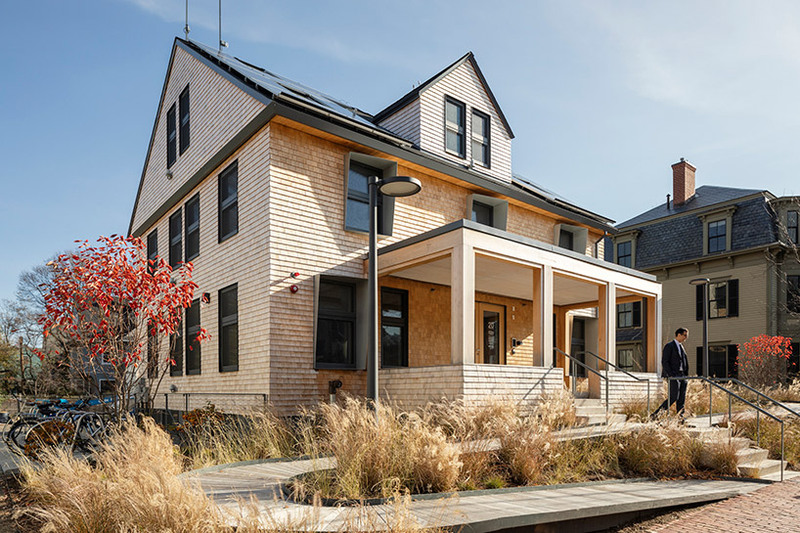 this addition allows it to continually monitor its performance while providing harvard’s researchers with an unprecedented understanding of complex building behavior. the data in turn will fuel research involving computational simulation, helping CGBC develop new systems and data-driven learning algorithms that promote energy-efficiency, health and sustainability. 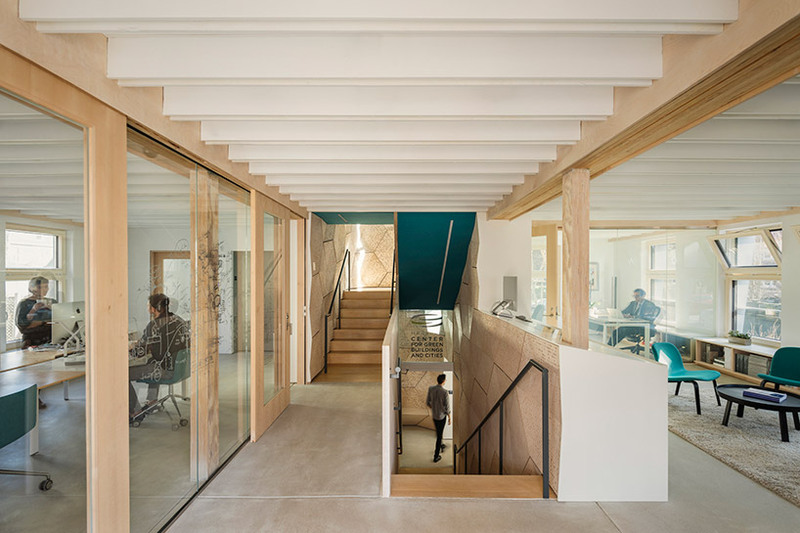 as a prototype, HouseZero works to address one of the biggest energy problems in the world today — inefficient existing buildings. the U.S. building stock is responsible for around 40 percent of energy consumption, with housing nearly a quarter of that use. property owners spend more than $230 billion annually heating, cooling and powering its 113.6 million homes. 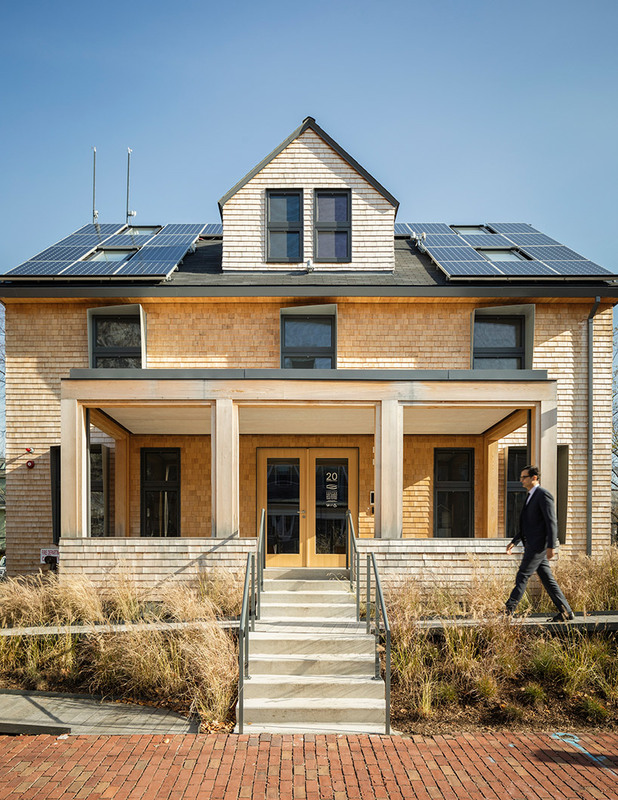 addressing the energy-inefficiencies locked into this problematic building stock offers tremendous opportunity for curbing its impact on climate change. 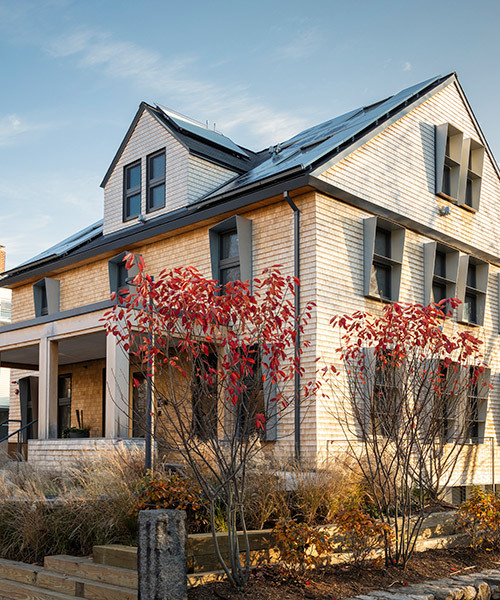 the ultra-efficiency of HouseZero lies at the intersection of cutting-edge technologies and applications of established, low-tech architectural design solutions — an example is natural ventilation, which is controlled by a window actuation system, which employs sophisticated software and sensor arrays to automatically open and close windows to maintain a quality internal environment throughout the year. however, windows can always be opened manually to ensure individual comfort. 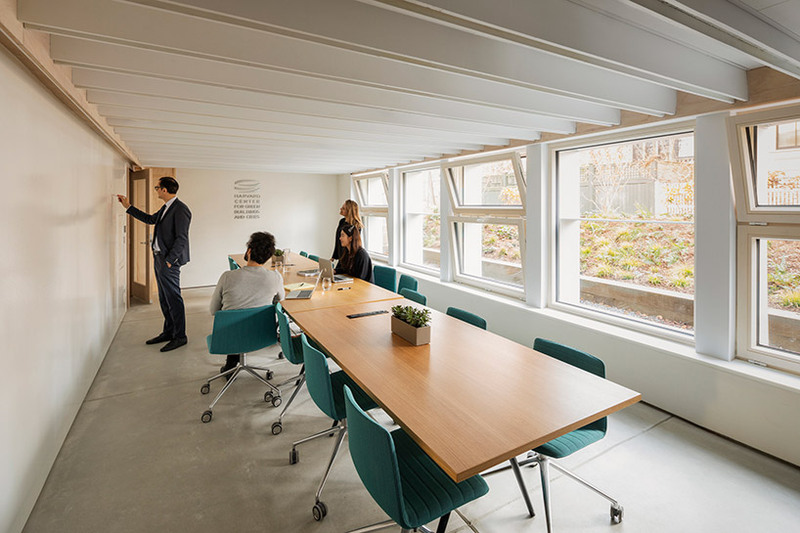 HouseZero will be used to research how to redefine how a structure can connect with and respond to its natural environment to promote efficiency and health. 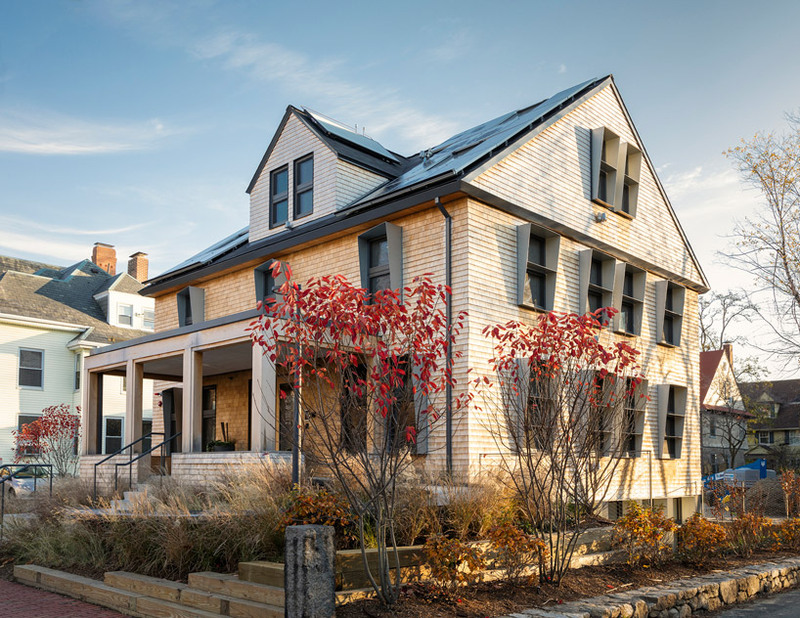 rather than approaching the building as a sealed box, the building envelope and materials of HouseZero were designed to interact with the seasons and the exterior environment in a more natural way. 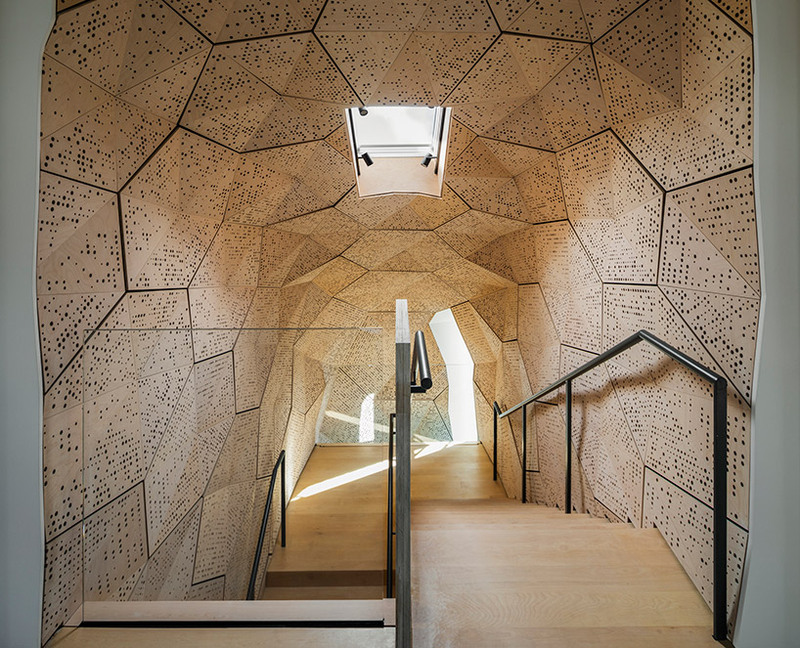 the building will adjust itself constantly — sometimes by the minute — to reach thermal comfort for its occupants.